When people asked for repairs to their defective washing machines, they didn't expect the cable guy to turn up — and they definitely didn't expect him to try and sell them a pair of wireless headphones. Last November, Samsung recalled 2.8 million of its washing machines after receiving reports that the lids were flying off the machines, causing injuries including a broken jaw and an injured shoulder. The appliance maker offered free in-home repair to affected customers. But when Andrew Gale requested the service, he was surprised when a Dish TV technician showed up to perform the repair. He was even more surprised when the Dish staffer tried to sell him a sound bar. Before he knew it, the tech had retrieved a sound bar from the Dish van and set it up in his living room. "He was trying to tell me how much better this sound bar is than my speaker," Gale told BuzzFeed News. He turned down the offer, and his washing machine was never fixed (he eventually opted for a refund). 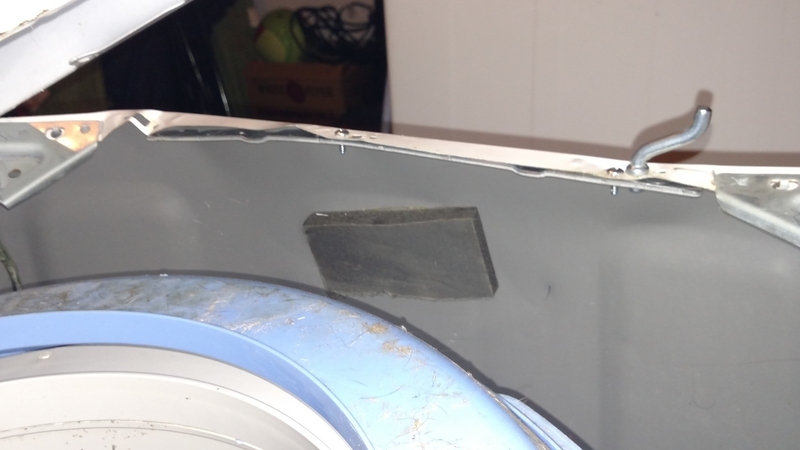 Several Samsung customers interviewed by BuzzFeed News told similar stories, of Dish TV technicians showing up to fix their washers, but seeming more interested in selling products than repairing the broken machines. "Any consumer affected by this recall is right to have an expectation that the focus of the approved service person coming into their home will solely be focused on doing the approved repair," said Scott Wolfson, a spokesperson for the U.S. Consumer Product Safety Commission. "This is an issue we have raised with Samsung and they have taken it seriously in our conversations with them." A Dish TV spokesperson told BuzzFeed News that it is "working with Samsung to provide a positive experience.” A Samsung spokesperson said a technician's "attention should be solely focused on applying the remedy and supporting the consumer" and they have "reiterated this to all of our authorized service providers." This isn't the first time Dish TV used its army of technicians to dabble in the electronics repair business, with a bit of salesmanship served on the side. Last May, the company launched an at-home iPhone repair program. "Because this is Dish, there may be a TV upsell involved," Macworld reported at the time. "The company notes that its technicians will gladly set up satellite service during their visit, and will help out with surround sound systems and Wi-Fi network setup as well." In the case of Samsung's recalled washing machines, Wolfson, the Consumer Product Safety Commission spokesperson, told BuzzFeed News while the repair itself is vetted and approved by the CPSC's engineers, it is Samsung that decides who it will send out to do the repairs. The regulator has received a "handful" of reports from consumers saying they were pitched Dish TV services during the repair appointments, which Wolfson said is "a new issue for us." Erica Taylor-Jones, 28, told BuzzFeed News that after a Dish TV technician failed to repair her washer, she ended up buying a $107 pair of Dish iHip wireless bluetooth headphones from a second technician. "It was awkward because I was just trying to get the washer fixed," Taylor-Jones said. She bought the headphones for her brother. 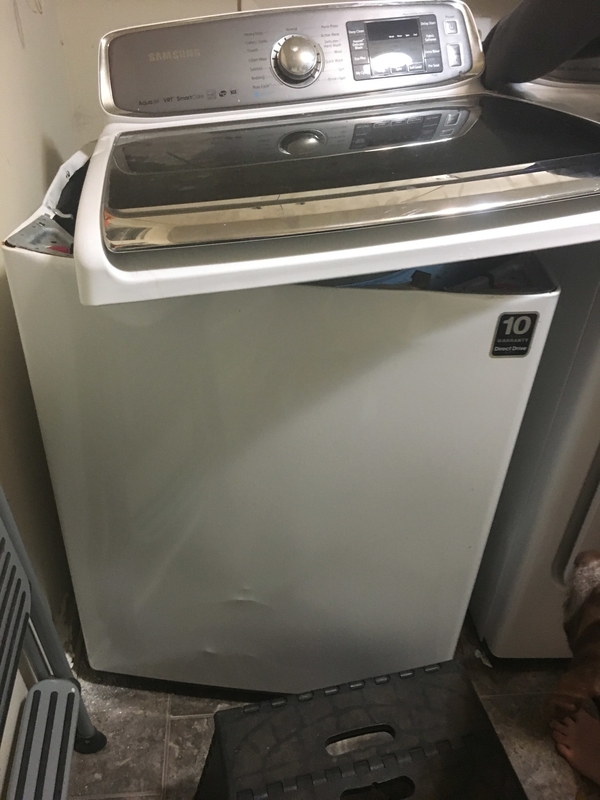 Angela Jones told BuzzFeed News that as she and the Dish TV technician ran her washing machine's spin cycle to test the repair, the technician mentioned some special deals she could offer her. Jones said she wasn't interested, but the technician ended up bringing in a surround sound system and hooking it up to the TV. 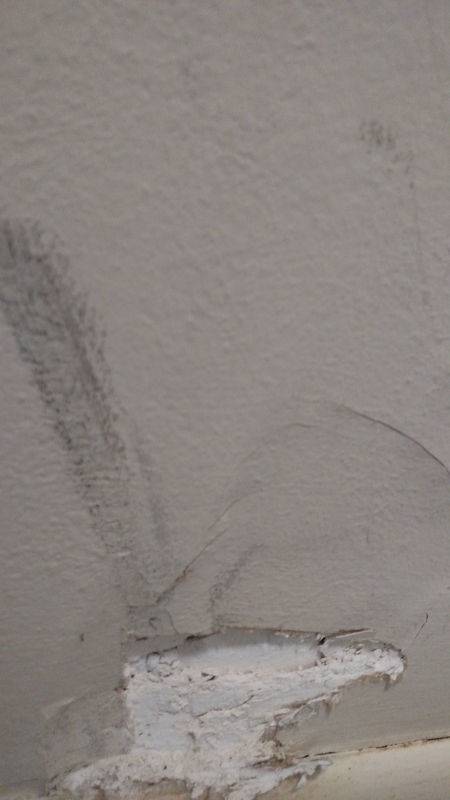 Later that month, after the repair visit, the lid of the washing machine flew off and damaged a wall, while Jones' 13-year-old daughter was home. "It was just the audacity of it," she said. "Who is profiting off of 3 million people’s troubles?" 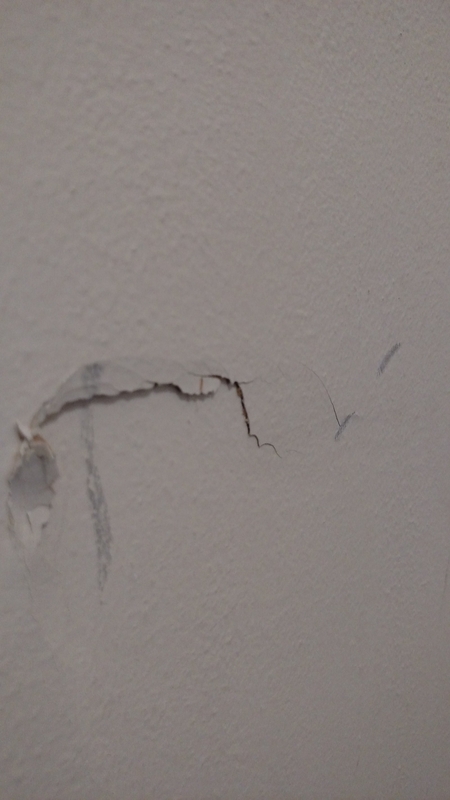 Damaged walls after repairs from a Dish TV technician failed to fix Samsung's washing machine.